Not Spam. It's smart marketing. After spending quite a bit of time surfing around the blogosphere, I've found that very few bloggers know how to market their blogs. They post and leave it at that. Not much of a plan. In this post, I want to show you a very proactive approach to marketing your blog. It has worked tremendously for me and it can work for you, too. This is how to use Twitter for marketing your blog. I developed my strategy from what I learned owning an advertising agency in Las Vegas and the radio and television media we used to buy and place. Most bloggers don't understand how those mediums work. Twitter is comparable to the radio or television of the Internet. It allows you to send a brief message out with a call to action - a link to your blog or blog post. You can use hashtags (#) to target your message - i.e. - #humor #comedy #music #parents #teens - whatever applies to the tweet you are sending. Radio and television advertising are bought in flights - a series of spots that will be run at various pre-determined times. No intelligent advertiser runs just one commercial on either radio or television - unless it is the Super Bowl. However, I'd get clients that wanted to run one radio spot and "see what happened" - well, nothing. In advertising, a message needs to be repeated over and over because the audience might miss it or not even be tuned in when your message runs. So, let's get to your blog. You write a scintillating post and hit publish. Now what? Does it go anywhere? Are you connected to NetworkedBlogs, where your post can automatically go to Facebook, Twitter and your Facebook Fan Page, plus the NetworkedBlogs stream? If not, why not? This should be step one for you, but there is so much more you can do with Twitter. What most people fail to realize is that your tweet on Twitter is fleeting. It shoots out in a busy flowing stream of tweets. If you have followers who follow a lot of people, you'll zip by and never be noticed. I came to grips with this early on. Initially, every time I got on the Internet (I use FREE WiFi at hotspots), I'd tweet out a couple recent posts. Immediately, I'd see a bump in my page views. Even though I had tweeted those posts several days earlier, they still got a response. You see, my advertising philosophy at the agency with clients was that you have to have a campaign that makes your message available to your target audience often enough until they are ready for it. No one jumps off the couch to buy a car just because they saw a car ad. But if they're in the market for a car, that ad is suddenly of interest to them. The same applies with your blog posts. That one tweet might go out when no one is paying attention or cares about your subject. So, what do you do? My marketing strategy took a few months to hone, but it has been working well. I use TweetDeck and HootSuite to set up a steady, constant stream of tweets with links to blog posts. The tweets are all programmed into either of those platforms and I have tweets bringing people to my blog 24/7. I can go eat, sleep or run errands and my tweets are still going out. How I do it is, after a post is published, I set up a tweet with the link to the post and I upload the picture to TwitPic - all of my posts have pictures. A picture is worth a thousand words. So why not add a free thousand words to your scintillating post? (I'll give you links for all of these gadgets at the end of the post). Then, I start programming my tweets in 5 hour intervals. I figure, over 5 hours the audience on Twitter will have some sort of turnover. I'll program the tweet to go out every 5 hours over two to three days; sometimes longer. Or, I might program the tweet every 9 hours over a week. After my freshly published post is programmed in, I'll go into my archives and resurrect two old posts and program them in every 5 hours over a few days. I publish daily on this blog and I have an archive of over 470 posts since March of 2011. About 75% of those are timeless - meaning, they are not connected to a date specific event - like an episode of a show or a specific news event. They are useful today, tomorrow and well into the future. What I have found is that some of my old posts gain a new life and take off like rockets when I recycle them. When I initially published the posts, they went nowhere. Now, they are striking a nerve with current readers and followers and I'm seeing big jumps in page views on those old posts. This strategy only works if you have a decent amount of content. You can't post the same tweet over and over by itself. TweetDeck will not send out identical tweets back-to-back, even if they're five hours apart. So, you need to have at least two or three posts that you want to put into rotation. I do this almost every day... program in the latest post, dig up two or three old posts and load up my scheduler on HootSuite and TweetDeck. A trick I learned is to use an odd number of hours between tweets - 5, 7, 9, 11 hours; if you use an even number, your tweets show up at the same time every day. People are creatures of habit. If they look at Twitter at 4 pm every day, and the same exact tweet from you comes through every day, that doesn't look very good. However, if your are rotating tweets and using an odd number of hours to create your rotation, they will see different tweets. And if you program in enough content loaded tweets, no one will ever be able to tell that you are repeating them. It will just look like you tweet a lot. You do have to be careful with your hashtags (#). If you are using a hashtag that gets very little traffic, your tweets will load up the stream and it's especially bad if it is the same tweet over and over. Research the amount of traffic for your hashtags. Busy hashtags are good, if you plan to use this strategy. 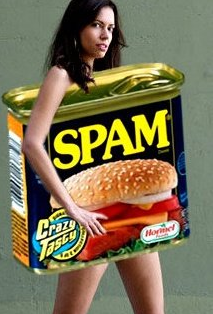 I've had a handful of people accuse me of being a spammer. They are usually people who sit on one hashtag and scrutinize all of the tweets. I've had more trouble with #atheists - they get pissed off when I write about something that asks them to think outside of their box and the tweet shows up again and again for a few days... Oooooh... talk about steamy people. LOL. Or, you'll get someone who is following you and 9 other people. To them, you look like an avalanche of tweets. They might complain. So what? They usually have no one following them. Also, don't overload tweets with hashtags. I've had mine turned off by Twitter a couple times for "hashtag abuse" - too many hashtags or sending content that has nothing to do with the hashtag. Now that I know the rules, I'm always on mark. You have to come to grips with the fact that not everyone is on Twitter when you fire off your tweet. If you think one tweet will do it, it will only work if you have 50,000 followers or more. Mashable published an article the other day about the best times to send your tweets. I haven't read it yet because my tweets go out hourly all day long. And I know that over the course of several days that one tweet will be seen by early risers, lunchtime surfers, afternoon goof-offs, after dinner relaxers and late night crawlers - in multiple time zones, globally. Back to TwitPic. Why is this so important? When I check my page views and there are gaps between hits, I'll go to TwitPic, which has a photo and a pre-written tweet with a couple hashtags and I'll just tweet out the entire page of photos. I wait about 5 or 10 minutes and there is always a big spike in page views. These tweets are one-shot deals. But they fire a bunch of diverse content into the stream and something might catch your follower's attention. Marketing like this takes work, but it will pay off in traffic. And that's how to use Twitter for marketing your blog. Incredibly timely post for me...and I didn't even hear about it on twitter! :) Thanks! Roger, as always this is insightful, filled with tools, knowledge and wisdom! @Megan - Thanks... pass it on to all of your blogging friends. I know Lee will.